S 1/c Oliver R. Barnes, son of Mr. and Mrs. J. W. Barnes, graduated from Loveland High School; husband of the former Ina Mae Woods. 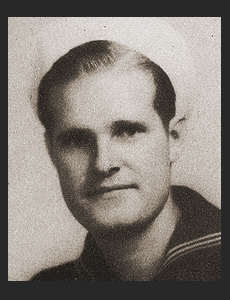 Entered the Navy in June 1944, trained in Great Lakes, Ill., Norfork, Va., San Francisco, Cal. ; served in Pearl Harbor, Japan, China, Okinawa, Guam; awarded Am. Theatre Ribbon, Asiatic Pacific Ribbon, Victory Ribbon.